We aspire to have the highest levels of governance in GoodSAM. All responders are checked and approved and their training is confirmed. This has meant we can partner with some world leading Ambulance services, and we are very pleased to announce our partnership with the world’s biggest ambulance service, London’s Ambulance Service. 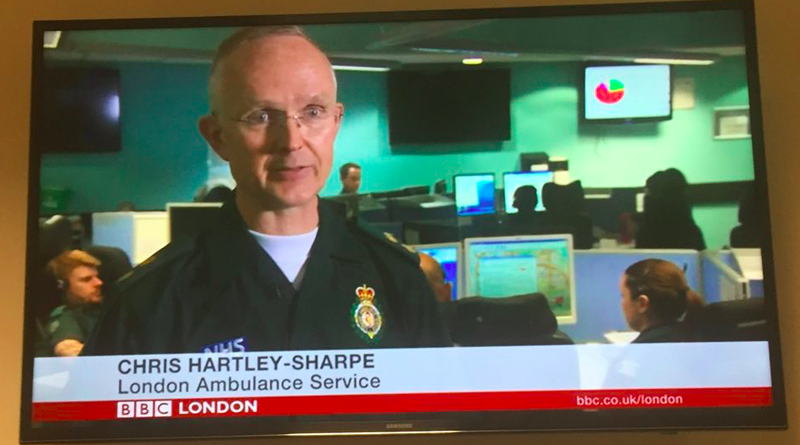 You may have seen a brief article on BBC News London on 22nd October. The full press release is below. Once again we’d like to thank our wonderful colleagues at LAS – we are throughly enjoying making this a reality with you! 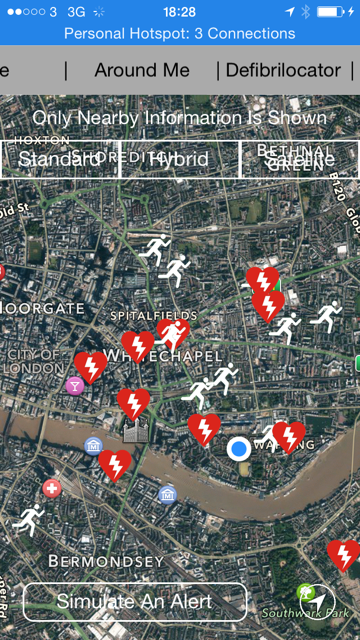 GoodSAM, the app which uses GPS technology to alert trained first responders including off duty doctors, nurses and paramedics, to nearby medical emergencies, has partnered with London Ambulance Service on an exciting new project. 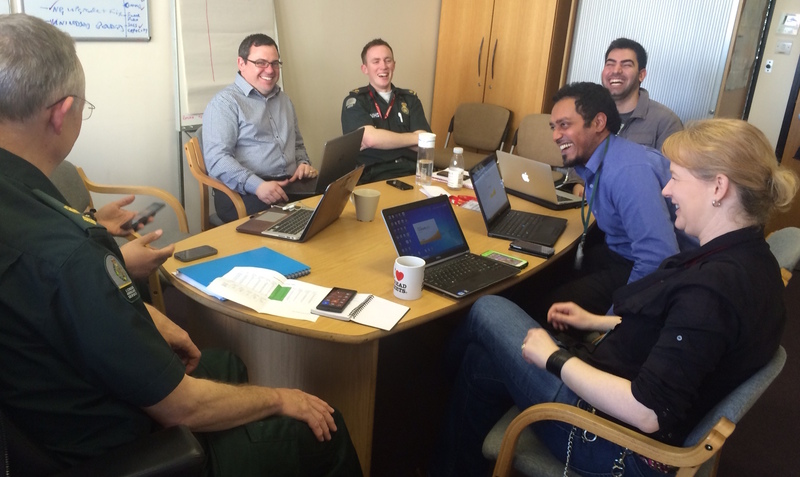 This Good Samaritan life saving community of off-duty ambulance staff and people trained in life support, can now be automatically alerted directly from a 999 call via London Ambulance Services (LAS) Computer Aided Dispatch service. The sooner quality Cardio Pulmonary Resuscitation (CPR) is started, the better the chance of patient survival. If a defibrillator is readily available (the location of which is shown on the GoodSAM app), patients are six times as likely to survive. Volunteer responders with basic life support skills who are affiliated or trained to an LAS Standard can register on the GoodSAM app selecting London Ambulance Service as the verifying organisation. Those who are not LAS trained or affiliated should select GoodSAM as the verifying organisation. This system does not affect the normal ambulance response. When LAS receive a call that is likely to be a cardiac arrest, an ambulance is dispatched in the usual way. The system concurrently alerts the three nearest responders who have the app on their phone and who may be literally next door. If the responder is available and has already been approved through the governance process administered by London Ambulance Service for its own staff and members of the public with basic life support skills trained to an LAS standard, they can accept the alert via the GoodSAM app and make their way to the location of the incident. By ensuring a patient has a patent airway and quality CPR is in place in those few minutes, the patient is more likely to be successfully treated when the ambulance arrives. Chris Hartley-Sharpe, Head of First Responders at London Ambulance Service said: “We are delighted to be working in partnership with the GoodSAM team. It’s a well-established fact that the sooner effective CPR is started, the better the chance of survival for the patient. Getting a defibrillator to someone in cardiac arrest further increases their chance of survival. “By working with GoodSAM, we have introduced an integrated and seamless approach that will enable our volunteer responders to be alerted via the GoodSAM app to a patient in cardiac arrest nearby. “For example, if our control room receives a 999 call about someone in cardiac arrest on Bond Street, an alert would go to the nearest volunteer responder via the GoodSAM app. “They could accept the alert and make their way to the patient. It is important to stress the responder is an additional resource to the emergency ambulance response, which is deployed as normal to a patient in cardiac arrest. Dr Mark Wilson, GoodSAM’s Medical Director, said: “If a patient has a cardiac arrest or a traumatic head injury, it is the first few minutes after the incident that determine the outcome – life, death, or long-term brain injury. “But in this time frame, we could never have enough ambulances to be on scene and able to provide treatment within two minutes. That is why we need to alert people with the right life support training skills. The GoodSAM App also has a built in Defibrilocator function, app users can also easily identify public access defibrillators This has mapped over 13,000 defibrillators. With over 5000 first responders currently signed up as Good Samaritans across the UK the creators are also appealing to members of the public to become ‘alerters’ to trigger the alert if they come across a patient in need. 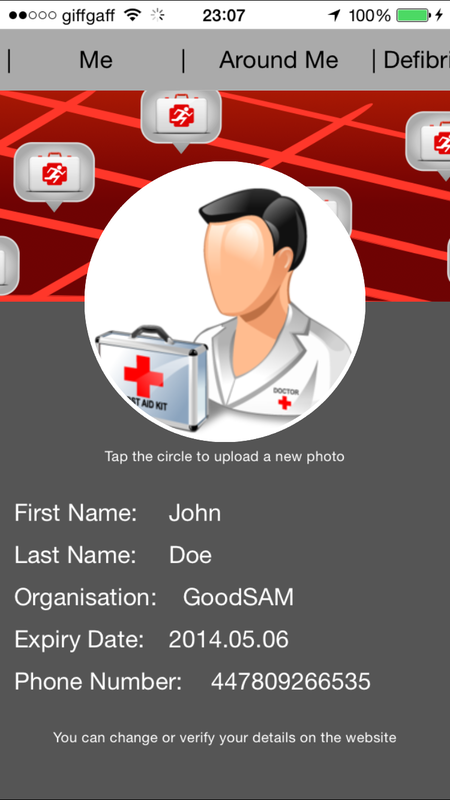 Both the GoodSam Alerter and Responder apps are available to download for Android and iOS from ITunes and GooglePlay. In a life threatening emergency anyone who has downloaded the GoodSAM Alerter app can simply open it and press ‘Call for Help’. The app identifies their geographical location and as soon as the call is confirmed as a medical emergency the app does two things simultaneously; dials 999 to request the emergency services and sends a group alert to the nearest GoodSAM Responders. When a GoodSAM Responder receives an alert, using the app they can either accept the request for help or reject it if they are unavailable. If they reject the request or don’t respond within 20 seconds, the next nearest responder is alerted. The person triggering the alert is advised that a group of responders has been alerted and notifies them when a GoodSAM Responder is on their way. The app guides the GoodSAM Responder to the exact location of the alerter and identifies where the nearest defibrillator is located. A built in messaging service means the alerter and the responder can communicate on route if required. Once on scene a GoodSAM responder can reassure the patient and begin performing basic first aid and life support as required before handing over the emergency services. There is a firm governance process in place and all Good Samaritans are verified manually. When someone goes into cardiac arrest, every minute without CPR and defibrillation reduces their chances of survival by 10%*. A defibrillator is a machine that delivers an electric shock to the heart when someone is having a cardiac arrest and there are a growing number of defibrillators available in public places for first aiders to use in an emergency. The GoodSAM app can pinpoint the nearest defibrillator based on known information. Whether a GoodSAM Responder or Alerter, uses of the app can add to this register making it the most comprehensive and reliable source of defibrillator information. GoodSAM users can do this by taking photos of any defibrillators they locate and upload them to the app, noting their type, condition and most importantly their accessibility. And some general all round fixes which mean no more scrolling! We’ve been working away updating the Apps with some exciting new features (watch this space – should be out on iOS in the next week). These include an ID page, additional “I’m on scene” and “I have a defib” buttons and a whole host of changes to make the App more smooth. And we are delighted to report that working with LAS is coming along swimmingly. After some fun testing on Friday, we will be doing some more testing over the next month, followed by a soft launch around May and a formal launch in June. Please do keep switched on and logged in! And there’s load going on on the international front as well… more to follow. In the mean time – please ask your colleagues to download the responder app if they are qualified, and ask everyone else to download the alerter app! Thanks again for the incredible support! YOU are GoodSAM – thanks for being part of our wonderful community – it is the network of people that make it what it is… Here’s what you have achieved this year! The network only launched in August and following the incredible press coverage (thanks @LDNairamb) over 3000 trained responders signed up! And since then the network has continued to grow – there are now responders all over the world and we are working with multiple ambulance organisations and charities. In Australia we are working with a number of partners – really exciting stuff coming in 2015! Watch this space! In India we are are working with @savelifeindia with a plan to provide a community based emergency response for road traffic accidents. In Ireland we have had a phenomenal uptake from multiple organisations. If you wish you can now register under CFR Ireland. And there are responders across the USA, Canada, in many countries in Europe and in South Africa. Windows Responder, Defibrilocator for all and other November News! 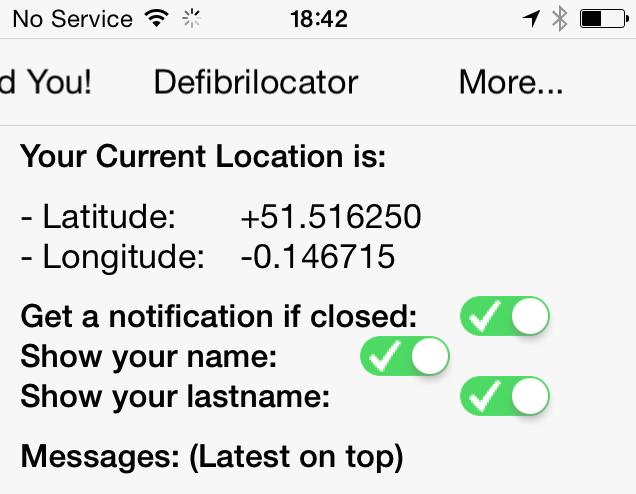 In other news the Defibrilocator function is now available across both alerter and responder apps on all platforms! There are over 12,000 defibrillators in the system – please keep adding them! Remember, it’s only fixed publicly accessible defibs that should be uploaded. We’ve also made it do that you can de-anonymise yourself. This is useful so your local community of responders can see where you are. You can reveal your first / last or both names. To enable this, just click on more along the top of the responder App. This is the same place you’ll find the button to enable you to be automatically alerted if you log out of the App. If you log out then you can’t receive alerts. Please check this so you know if you accidentally log out. .This weeks prize for the most remote responder goes to this chap who is looking after Fiji by himself…. Well done – keep up the good work! We are in Australia this week and will bring you some exciting news hopefully in the next couple of weeks… It’s all go here! Thank you so much again for supporting GoodSAM. Please do tell your friends and relatives to download it! on behalf of the GoodSAM team. Whilst urgent calls should not be affected, things are going to be pretty stretched during the 4 hour Industrial Action on 13th October in England (starting 07:00 BST) – Just in case – please ensure you are logged into the App. 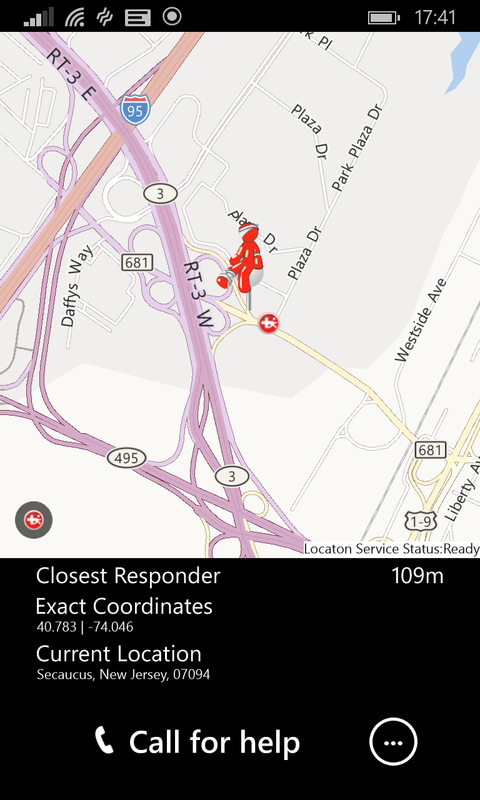 – Responders can choose to show his/her name or last name to other Responders. – The Responder can review their alert history. – Even more devices (and older phones) supported. – Alerters can now view the defibrillators simply just moving the pin. The website has now been translated into French and Spanish (thanks ++ to our friend Jorge Alcalá)! And we have an institutional log in facility…(this is v exciting – more to come in the next few weeks). On BBC Radio Simon Mayo’s drive time (thanks ++ Simon Mayo (@simonmayo) and Rebecca Pike (@RebeccaMPike). And as a result the numbers of responders and alerters just keeps growing. 2) Tell your friends / colleagues especially if not medically qualified, to download the alerter App! In the week ahead we’ll be at the Tri-Services conference in York, we are talking at the MedSTAR governance day on Thursday and at the Irish Association of Emergency Medicine Conference in Dublin next week! And we have some really exciting developments in the pipeline we can’t wait to tell you about…. Thanks again for signing up and have a great week. GoodSAM – Windows Alerter App Launch! Wow – Another busy week for GoodSAM! Hello to all the new Alerters and Responders especially in Brazil, Spain and Finland! Welcome aboard! The GoodSAM community really is growing, we’d love to have you all round for dinner some day…! Well the big news this week is that our US team have worked their socks off to bring you the Windows Alerter version – yes – thanks for hanging in there! The Responder version should be here in the next month! But there has been so much else going on! We’ve been at TEDMed in the US and had meetings with multiple organisations on three continents. It’s really exciting as you’ll see over the coming weeks! A few of Rob Logan’s defibs in Ireland! And the App has been used in a number of emergencies now. As such we have set up a Mission Log. Log into your responder account and if you have been activated you’ll see a link to a mission log form. 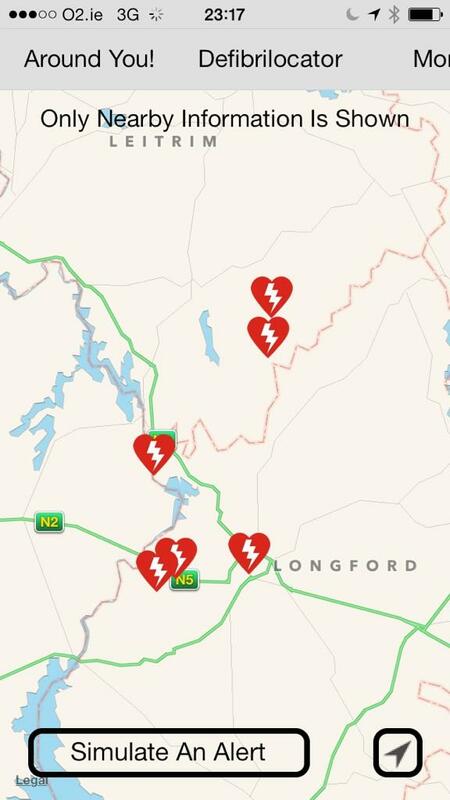 We must also sing the praises of this weeks Defibrilocator Superstar Robert Logan (of Defibrilliation And Resuscitation Access Roscommon, Ireland) who seems to have single handedly mapped most AEDs in central Ireland… Amazing – thank you. 1) Make sure you are logged into the App!!!! 3) Make sure your family are registered as Alerters – so they can get immediate help when you’re not there…. Well – thanks again for all the comments / tweets. Please do follow us so we can let you know about latest developments as they happen! Blogs About GoodSAM – #FOAM and #FOAR! It’s all about getting the message out there and increasing responder and alerter density. Thanks everyone! Wow – what an incredible week. On Wednesday we launched GoodSAM thanks to our amazing friends at London’s Air Ambulance. The interest was overwhelming! A massive thank you to @SkyNewsBreak who had the story running all day. This also resulted in the first live interview on the Helipad! And as if this wasn’t enough we were on the news in New Zealand. Then we also got into the tech media – both got on Wired and Endgaget! And then there was CBS! All this has resulted in >4,500 people signing up… Just take a look at the London Map now – you can hardly move for responders! We cannot thank the team of London’s Air Ambulance enough for nurturing this project – it relies on getting the public engaged – and that has certainly happened… But we always need more responders and alerters so please do continue to spread the word! We are extremely grateful to our wonderful friends at London’s Air Ambulance (LAA – a charity) who are helping us get the GoodSAM App out to the public this week. Hence the GoodSAM App – crowdsource those with skills around the patient. Keep an eye out in the media this week! Hopefully you’ll see something of us. An please continue to tell your friends!! !